Want the Best Home Inspection Services? We strive to provide the most thorough and comprehensive home inspection in the marketplace. Our inspections are informative and educational and are complete with maintenance tips and suggestions that lead to many years of enjoyment in your home. If you are buying, selling, building a home or simply need a home checkup, give us a call. 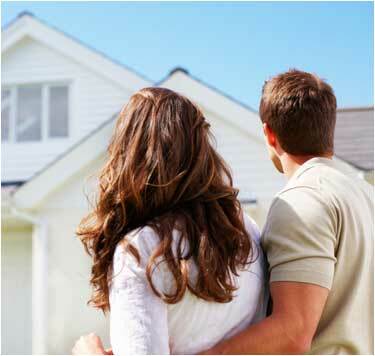 Our home inspectors will perform a quality evaluation at an affordable price. Checkmark is a proud member in good standing of ASHI and InterNACHI. Contact Checkmark as soon as you have selected a home for purchase. Getting us involved as soon as possible helps the buying process stay on track. Be present for your home inspection. Being part of the inspection allows you to ask questions about how the home works and also address any concerns you may have. "Mike was very thorough and looked over everything carefully. He also helped us determine what was serious and what may not be." "Checkmark is top of the line when it comes to a quality home inspection. Mike is incredible and detail oriented, quick turn on reports and always available for any questions." "I am a very satisfied customer !! Mike was professional, personable and customer oriented." "Thorough and informative. I feel better prepared to be a homeowner and to be able to competently maintain my home." "Mike was extremely thorough, knowledgeable and seemed genuinely interested/caring." "Went smoothly. Inspector was very informative." "Great and comforting for an old house !" "Much more thorough than I expected." "Took special care and concern to listen and check into our specific issues." "Mike took time to review every detail. Even when time exceeded expectations, his home inspection continued to be consistent and thorough through the final review." "I’ve come to know Mike personally and professionally and as a Realtor I appreciate his vast knowledge of construction and keen attention to details. His inspections are thorough and educational for my buyers and sellers."